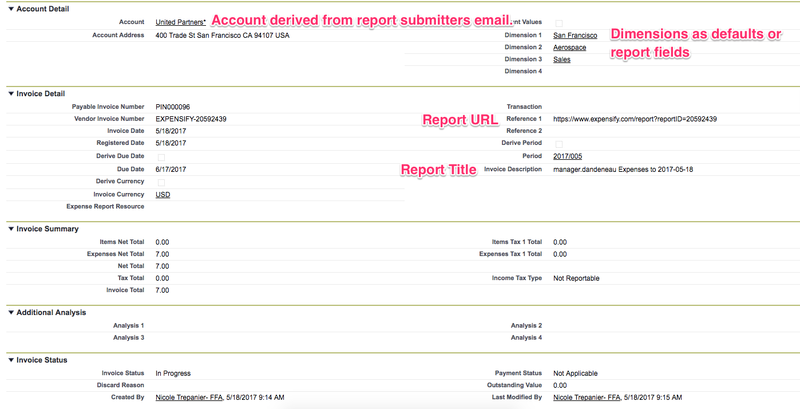 Here you select if you want your reports to be exported as Complete or In Progress. Both reimbursable and non-reimbursable reports are exported as payable invoices. 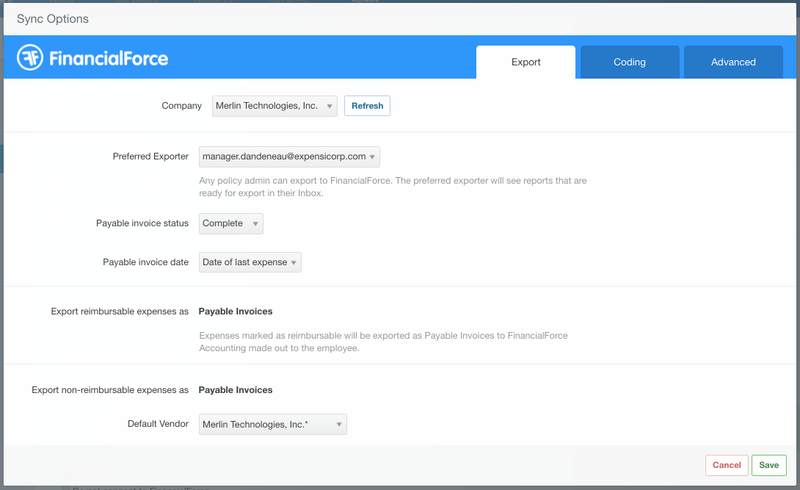 If you have both Reimbursable and Non-Reimbursable expenses on a single report, we will create a separate payable invoice for each type. Here is where you select the default vendor to be applied to the non-reimbursable payable invoices. The full list of vendors from your FinancialForce FFA account will be available in the dropdown.